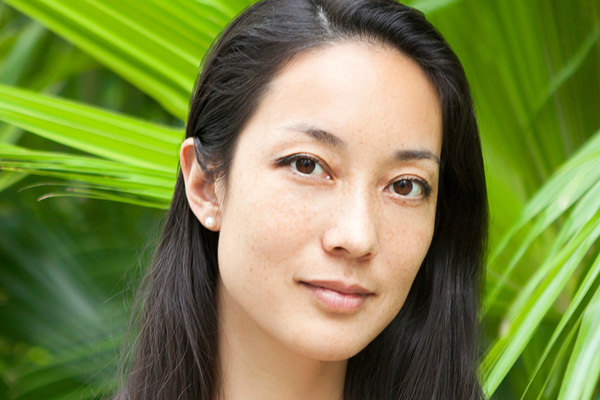 Vivienne Tang is the founder of travel and wellness publication Destination Deluxe. Having spent 18 years in lifestyle publishing, she was previously Editor of #legend magazine and Editor-in-Chief of AsiaSpa magazine, and held positions at Prestige Hong Kong and South China Morning Post. She is also a speaker, and a judge for the Mr & Mrs Smith Hotel Awards. I think happiness is an inside job. At the end of the day, nobody can make us happy… not our partner, not our kids, not our friends. That responsibility lies with each one of us. And the sooner we come to realize that, the quicker we will be able to take control of our own life and our emotions. I might not be able to control every situation, but I can choose how I want to react to it. The more centred and grounded I become in the present moment, the happier I tend to be. Most of the time when we’re unhappy, we’re mentally and emotionally either in the past or somewhere in the future. Bringing our attention and our awareness into the now, the more peaceful we become, as the present moment is perfect the way it is. What did you have to do and overcome, to come to the current level of positivity? I think we’re all guilty of chasing this, that and the other and hoping that when we eventually get it, we will be happier. Our whole society has been conditioned to believe that through constant advertising and media. Many people believe they can only be happy when they get the next bag, the next job, the next partner, etc. We need to make sure we don’t get caught up in that. I guess at one point you wake up from that slumber and realize that all that stuff doesn’t matter. For me, it has been the increased use of technology, which is actually stealing more and more of my time; time I spend with my loved ones and time I get to dedicate to myself. I realize how valuable my time is and that I should spend as much as I can in the present moment, instead of worrying about the past or the future. Also, the more you love your own decision, the less you need other people to love them. I’ve made major changes in this department over the last few years. This includes everything from no longer doing what I don’t want to do just because I feel obligated, no longer feeling responsible for other people’s emotions, speaking up, facing my fears and following my dreams. You are lucky to visit some of the most beautiful places in the world; is that why do you think you are happy? Can one be happy anywhere? I think travel is an important source of inspiration, for myself, as well as for many other people. As long as you stay curious with a desire to explore and with an open mind, not taking yourself too seriously, I think happiness will arise automatically. Generally speaking, I do think if you’re happy internally, you should be able to live anywhere. On the other hand, many people are very sensitive and shouldn’t be living in big cities for instance. Or some people need to be near water to be happy etc. I think one should go where they feel drawn to. What are your life lessons about staying content, no matter what? Meditation, meditation and meditation. Training the mind to come back into the present moment and being grateful for this moment is key. I also had to learn that I am unable to control everything. Sometimes you have to let the universe or God take care of things. Especially, when I’m facing bigger issues that seem out of my control, I give my worries up to the universe and ask for help and let it rest. The universe then takes care of it. Of course that’s easier said than done, but it works. I’ve done it several times. I often tune into my body and bring happiness to specific parts of my body, like an organ for example. It sounds a little bit out there, but it’s great fun to feel into a certain body part, being able to change the emotion that’s stored there. If you continuously practice to feel happiness within your entire body, your entire being will eventually become happy. There’s no other way.